Well before graduation, University of Notre Dame senior Patricia Harte has already put her Film, Television, and Theatre (FTT) and political science majors to work at multiple broadcast journalism internships—and begun networking with alumni in her chosen field. Currently a production assistant at WNDU, Harte interned at Face the Nation with Bob Schieffer during her spring 2012 semester in Notre Dame’s Washington, D.C. program and worked through the summer as an intern for Cox Media Group, where she covered events at the White House, on Capitol Hill, and even at the U.S. Supreme Court. 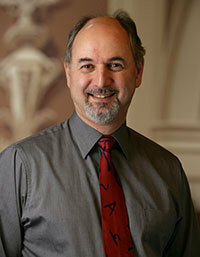 Peter Holland, associate dean for the arts in the College of Arts and Letters and McMeel Family Professor in Shakespeare Studies in the College’s Department of Film, Television, and Theatre, has been selected to receive the 2012 Sheedy Excellence in Teaching Award. The highest teaching honor in the College, the Sheedy award was founded in 1970 in honor of Rev. Charles E. Sheedy, C.S.C., who served as dean of the College of Arts and Letters from 1951-69. Collin Erker and Erin Moffitt, both juniors in the University of Notre Dame’s Department of Film, Television, and Theatre, spent four weeks wading through the Great Lakes’ coastal wetlands to create a documentary called Waterlogged. Raise the curtain, cue the lights, and enter our scene: an actress who discovers a hidden passion for costume design, a dedicated designer who seizes a prime opportunity, and the department where it all happens. This is the true story of seniors Lucy Lavely and Robert Jenista, theatre students in the Department of Film, Television, and Theatre (FTT), who played major design roles in the spring 2011 production of Proof.